Bron Eifion offers exclusive hire facilities for weddings, business and corporate events, and private parties. 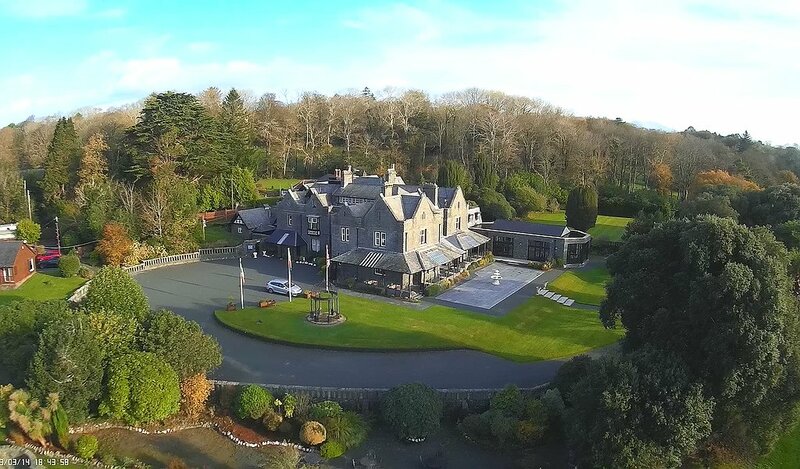 Whether you wish to have a gathering of friends and family to celebrate that special occasion, a business or team building/corporate event or would just like to have all your family together for a weekend away, Bron Eifion provides a solution. This beautiful Grade II listed building set in 5 acres of gardens with views of the sea is secluded and yet only a 10 minute walk from the village, Criccieth Castle and the beach. With 16 beautifully appointed bedrooms available accommodating up to 34 guests you can host your event in splendor and comfort. It can be as busy and exciting with lots to do, or as relaxing and stress-free as you wish and the team at Bron Eifion will take care of everything, from the food and wine to activities and entertainment. With specialists on hand to assist with venue dressing, photography, videography and transport – we can assure your event will be one to remember!